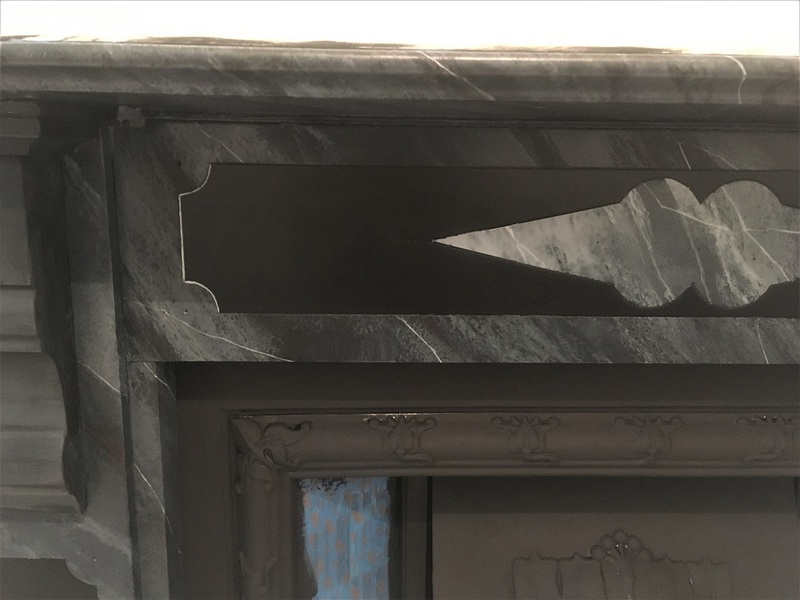 The marble effect painting on this fireplace was the second commission from a couple near Milton Keynes. 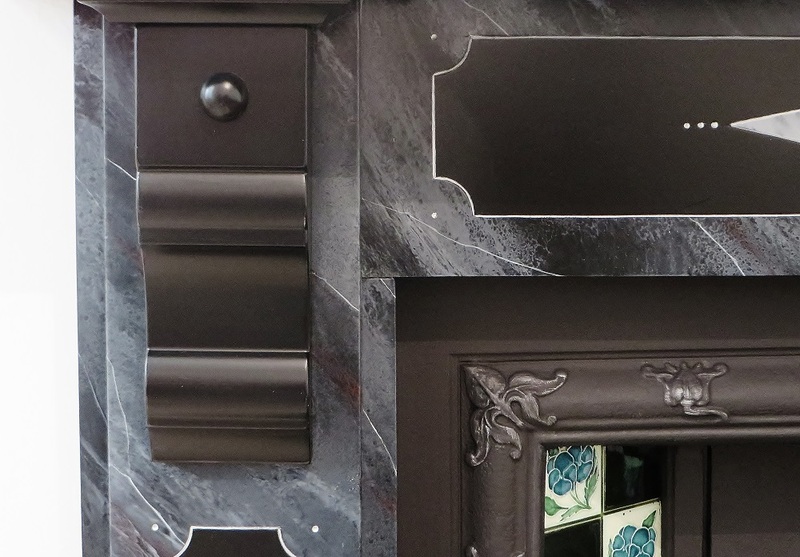 The first fire surround I painted for them was in their lounge, this one was in the dining room. 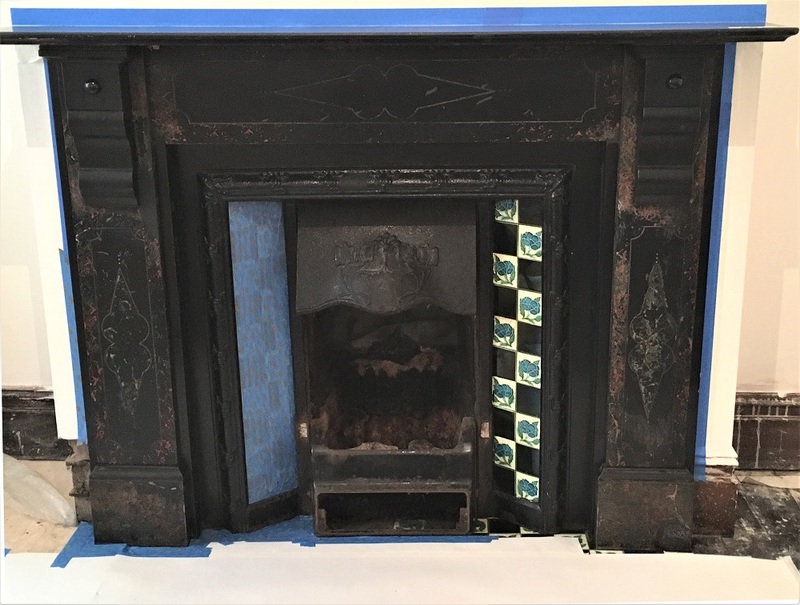 This too was in pretty poor condition and needed a fair bit of preparation before I could actually paint the marble effect. 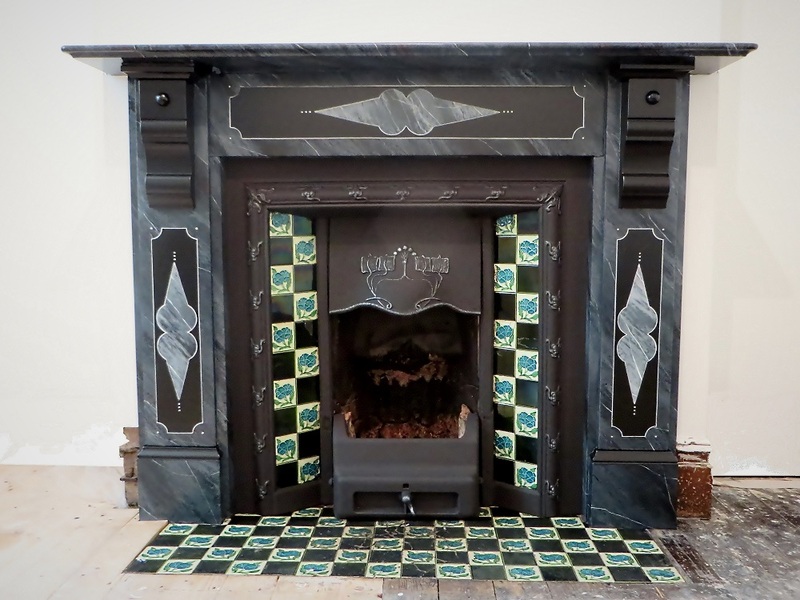 The clients wanted to change the original red marbling colour, which would have jarred with the tiles, to a black base with grey and white marbling. 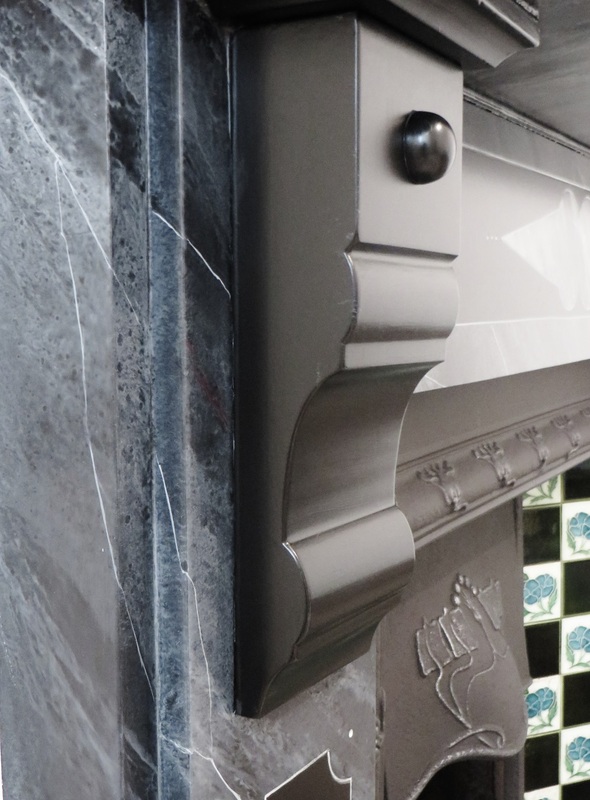 If you looked closely you could still see hints of the original Victorian marbling, offering a glimpse of what the surround would once have looked like. 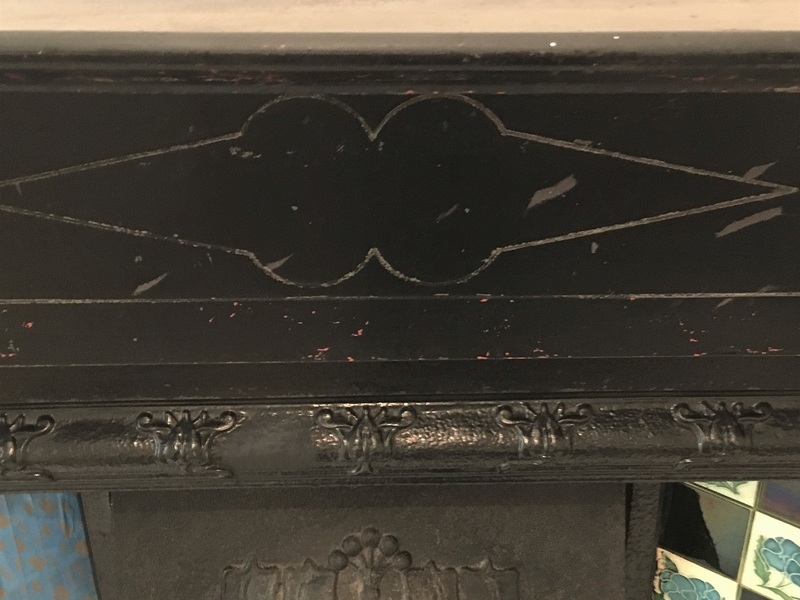 Aside from the surface now being very worn and scratched it wasn’t heavily painted and may even have been the original finish. It certainly didn’t have the many technicolour layers the lounge fireplace had. The first stage was to thoroughly cleaning everything with Krud Kutter cleaner/degreaser. The main obstacle here was to remove all the soot that had accumulated over years of use – lets just say there were many many cloths and buckets of water used! 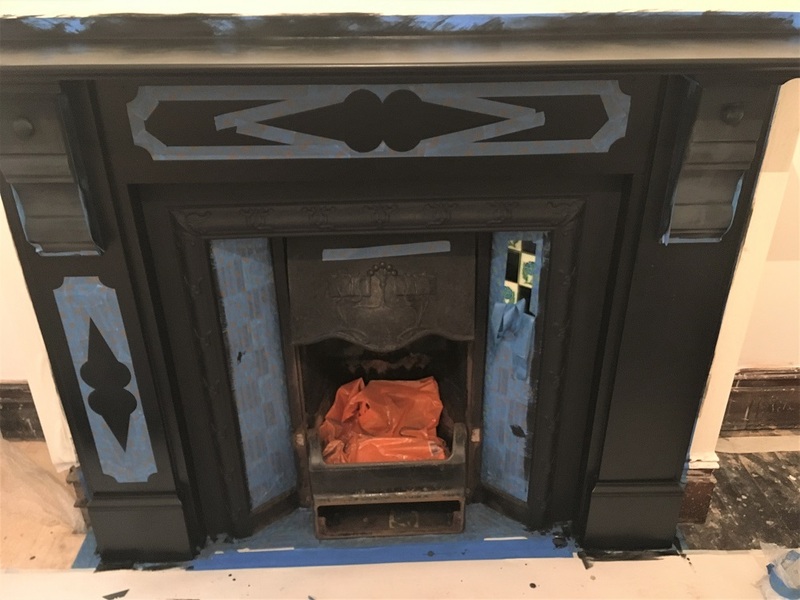 The next stage was the sanding, the main aim of which was to remove any of the flaking paint and to create a smooth, workable surface ready for the filling and painting. Once sanded I applied a coat of shellac primer, sanded it smooth and then sorted all the damaged areas and caulked the gaps before applying a second coat of the same primer. Once primed I applied two coats of Empire alkyd paint by Tikkurila. 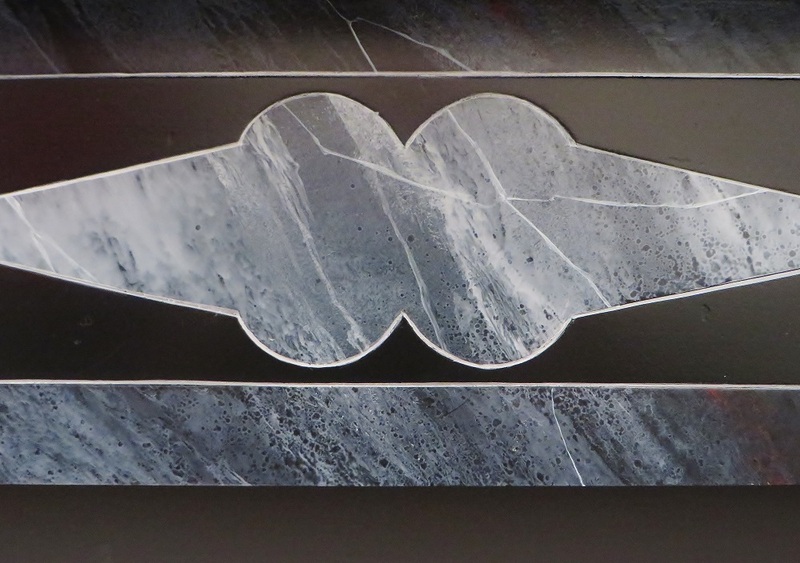 This had to be applied very smoothly as it would be base to the marble effect and nothing spoils the illusion more than seeing great big brush marks in your marble! Once the black base was established I masked off the areas that would, and would not be painted. In this design there were areas in the panels that were left black. 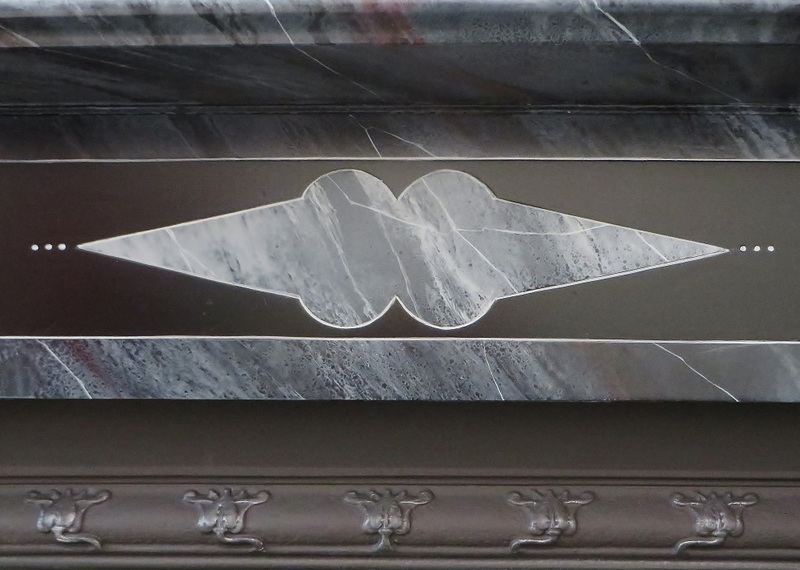 Once the marble paint effect had been created, a two stage process overlaying separate transparent layers, I edged the panels with a silver line and brushed some of the same silver over the ornate metalwork on the hood. This really made things pop and brought everything to life.